Tesco Superstore occupies a prominent position in Havens Head Business Park at 7 Saint Lawrence Hill, about 0.09 miles north from the centre of Milford Haven (near to Milford Haven Train Station). The supermarket principally provides service to people from the areas of Hakin, Milford Haven, Gelliswick, Herbrandston, Black Bridge, Hubberston, Steynton, Liddeston and Thornton. Today (Thursday), business times start at 6:00 am and end at midnight. 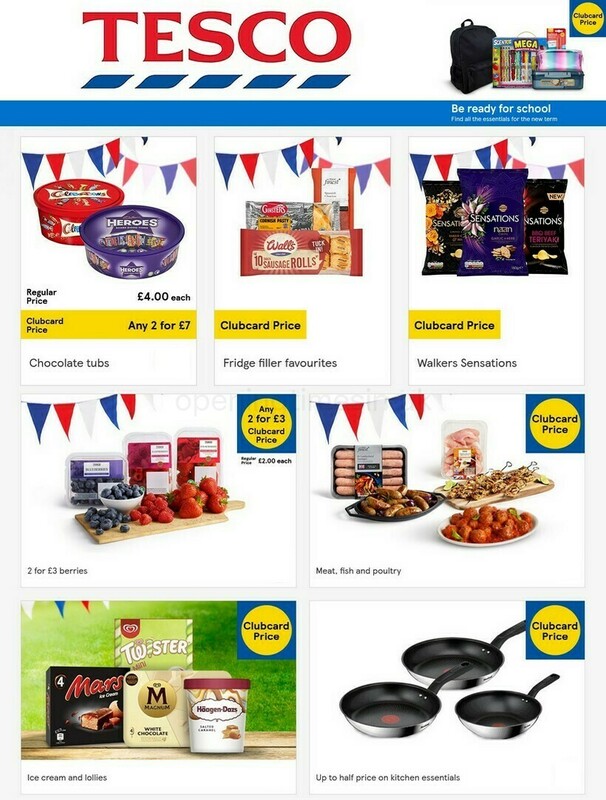 On this page you may find all the information about TESCO Milford Haven, including the working hours, store address details or email info. Tesco Superstore can be found not far from the crossroads of Saint Lawrence Hill and Saint Anne's Road, at Havens Head Business Park. 1 minute trip from Priory Road or Hamilton Terrace; a 4 minute drive from Coombs Road, Wentworth Close and Great North Road/Steynton Road; or a 5 minute drive time from Neyland Road and Thornton Road. Buses run every day to and from Tesco. Routes available: 300, 302, 315 and 356. The train stops right at Milford Haven Station (400 ft away). Get on the Arriva Trains Wales line. In the vicinity you may visit Liddeston Ridge Solar Park, Milford Marina, Milford Haven Golf Club, Hubberston Pill, Hubberston Fort, Thornton Industrial Trading Estate, Milford Haven School and Cedar Court Havens Head Business Park. Today, TESCO operates 1 supermarket in Milford Haven, Dyfed. For all TESCO locations near Milford Haven, navigate here. Over UK public holidays, opening times for TESCO in Milford Haven may differ from regular times expressed above. In 2019 it is applicable to Xmas, Boxing Day, Easter Monday or Spring Bank Holiday. It's suggested that you visit the official site or call the direct contact number at 0800 50 5555 to get further info about TESCO Milford Haven holiday operating hours. Our store has automatic doors fitted. Disabled parking facilities are available. An induction loop has been installed in our store. Facilities are available for people with hearing impairments. Fully accessible toilets are available within our store. Facilities are available for people with mobility impairment. Non assisted wheelchair access is possible. Wheelchair assistance is possible in our store. Assistance dogs are welcome in our store. Facilities are available for people who are visually impaired. Including large print and braille. Please be sure to visit the wide variety of fine stores at Havens Head Business Park. At this centre you may also find other vendors, such as Home Bargains, Iceland Food Warehouse and Poundland. We always strive to deliver you with the most up-to-date information. If you have found any discrepancies or errors in the street address or store hours for TESCO in Milford Haven, please utilize this form to report a problem. Please review TESCO. Your feedback is encouraged! Voice your critique in the box below.